Tommy Ramone, the original drummer for the Ramones and the band’s last surviving original member, died on Friday at the age of 65. A spokesman for Ramone’s family confirmed the news to Rolling Stone. Ramone was a founding member of the family of “brothers” who helped invent punk rock in New York’s frenetic 1970s music scene. 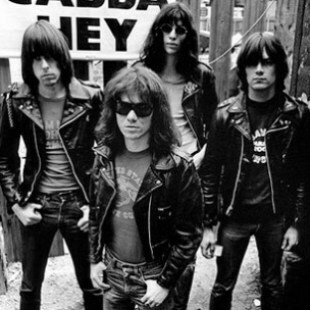 Harnessing a powerful combination of short, propulsive three-chord singalongs with playful lyrics on themes of adolescent angst, the Ramones created a durable sound in songs like “Beat on the Brat,” “I Wanna Be Sedated,” “Blitzkrieg Bop” and “Sheena Is a Punk Rocker” that would go on to influence countless later bands. Born Erdelyi Tamas in Budapest in 1949, Ramone emigrated to America in 1957. He grew up in Forest Hills, Queens, where he began playing music with John Cummings (a.k.a. Johnny Ramone) while he was in high school. The two formed a garage band called the Tangerine Puppets before Tommy moved on to study recording engineering, finding work at the famed Record Plant studios. Tommy began his career in the Ramones as the band’s manager, but soon took on drumming duty so Joey could concentrate on vocals. He played on the Ramones’ first three studio albums, Ramones and 1977’s Leave Home and Rocket to Russia, as well as the band’s 1979 live record, It’s Alive. Tommy left the Ramones in 1978 to concentrate on studio work. He had co-produced four albums for the band and would go on to co-produce their 1984 record Too Tough To Die. The following year, he produced the Replacements’ major label debut album, Tim, and in 1987, he produced L.A. punks Redd Kross’ album Neurotica. More recently, he formed the bluegrass and country band Uncle Monk with his longtime partner Claudia Tienan. The duo released a self-titled album in 2006 on their own label, Airday. The Ramones officially disbanded in 1996 after releasing 21 studio, live and compilation albums. In 2001, Joey Ramone announced that he had been diagnosed with lymphoma and died later that year. Dee Dee followed him the following year with a drug overdose and Johnny Ramone died in 2004 of prostate cancer. In March of 2002, in the midst of those tumultuous times, the Ramones were inducted into the Rock and Roll Hall of Fame. Additional reporting by David Browne.